When it’s time to replace your heating system the biggest decision most homeowners face is the level of efficiency to select, whether 80%, 90% or something in the neighborhood of 95%. The right answer depends on a number of factors specific to your needs. Let’s take a look at the 3 options we mentioned and discuss the keys to choosing each one. 1. You live in a warm to moderate climate. When your heating season is shorter, and when the difference between the outside temperature and the one you want indoors is in the 10-35 degree range, a less efficient model is a good choice. You’ll pay significantly less for the unit, though not necessarily for installation. An 80% model will use more energy than the other options but it may still be cost effective if the payback time for a higher efficiency model would be 7 or more years. If, for example, you pay $1,500 less for an 80% furnace or heat pump but only pay $150 more per year in energy costs it would take more than 10 years to go through the $2K savings – more if you put the money in the bank and gain a bit of interest. 2. You don’t plan to be in the home long enough for the energy-cost savings to make sense. Using similar math to the point above, do some figuring and compare it to your long-term housing plan. If you are in a “starter” home, plan to retire and move soon, or other similar factors, a lower efficiency 80% unit is a better choice. 1. You live in a moderate or cold climate. The colder the climate the more it makes sense to go with a high-efficiency unit. With a 90% heat pump you’ll pay 10% less for energy. Crack out your old bills and the calculator and determine how long it will take to make up the price differential. If it is 5-7 years or less, the 90% efficient unit will prove a wise investment. 2. You either don’t know how long you’ll be in the home or plan to be there a good long time. These days, more homeowners are making upgrades to their existing homes rather than selling/upgrading, primarily due to the housing market slump. A 90% efficient model will let you get more from your energy dollar without paying the much higher cost of a 95% efficient model. Typically the cost increase from 90% to 95% efficiency is greater than the jump from 80% to 90%. 1. You live in a moderate to cold climate and plan to remain in your home for at least 7-10 years. You may pay 25% to 40% more for a 95% efficient unit than even a 90% model, so factor that in and compare it with the yearly energy cost savings. A warm, toasty house in a cold climate requires substantially more heating and your payback period on energy cost savings may be surprisingly short. 2. You are conscientious about energy usage and its effect on the environment. To be as green as possible, choose the most efficient unit your budget will allow. Gather the efficiency facts about the models you are considering, and the price of each unit, and then do some simple math. 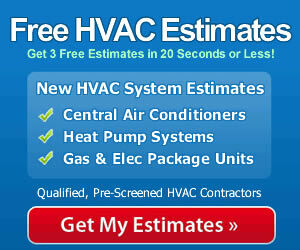 The numbers won’t lie and will give you a clear set of facts to work with in choosing your next HVAC system. 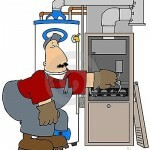 In any of the instances be sure to check if the purchase qualifies for the $1500 Energy Tax Credit.